This item is an online promotion and not displayed in the store at this time. All of our products are sold exactly as described and sold with money back guaranty. Please note that the order time is 10-15 business days from the invoice date for either pick up in the store or for delivery if requested for a fee. Availability is a subject to change. Please check on availability before ordering. 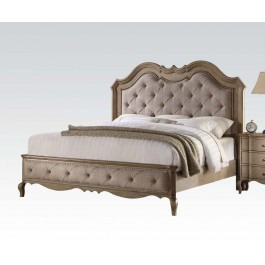 The 4PC includes queen bed, nightstand, dresser and mirror only. Sleep in comfortable style in this Chelmsford bed constructed with durable solid wood for you long lasting enjoyment. 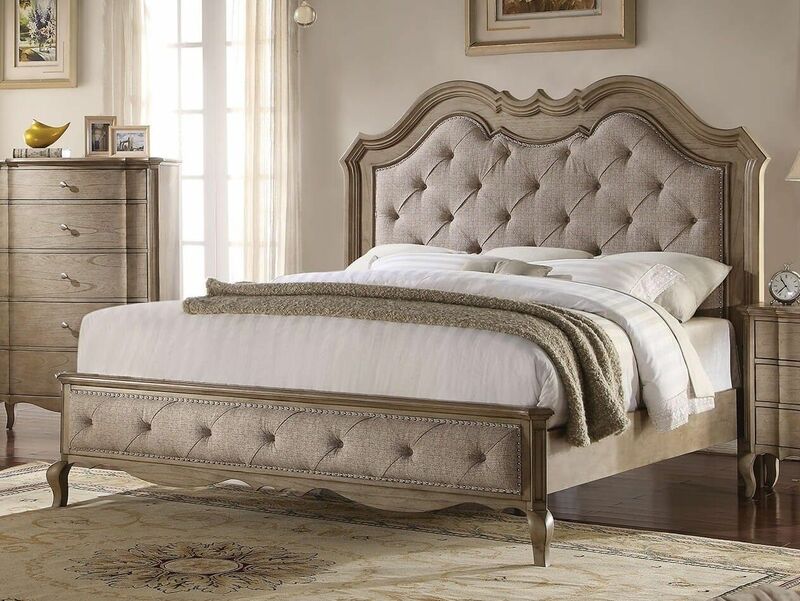 For a touch of elegance, this upholstered bedroom collection features cursive components for a classy appearance.